FonePaw DoTrans, a data transfer software, allows you to transfer contacts, photos, videos, messages, music, etc. from your old iPhone or iPad to your new iOS mobile phone like iPhone XS Max, iPhone XS, or iPhone X. 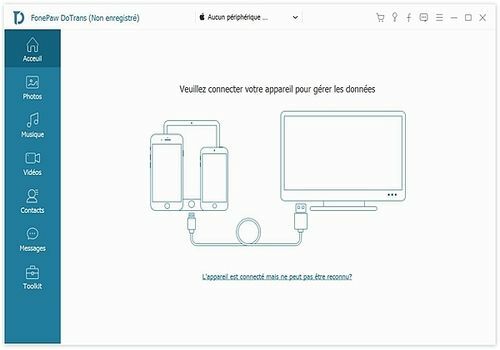 Using DoTrans, you can synchronize data from your iPhone to your PC in 3 steps: Connection between your iDevice and the PC > Scanning and Previewing > Transfer and Backup. Manage iOS devices and save SMS messages and contacts to iOS to ensure their security. This powerful software can copy contacts, text messages and iMessage between iPhones. Intelligently merge duplicate contacts. No more complicated synchronizations, just use DoTrans.